Hanni Stoklosa, MD, MPH, is the Executive Director of HEAL Trafficking, an emergency physician at Brigham and Women’s Hospital (BWH) with appointments at Harvard Medical School and the Harvard Humanitarian Initiative. She is Director of the Global Women’s Health Fellowship at BWH, Connors Center. Dr Stoklosa is an internationally recognized expert, advocate, researcher and speaker on the wellbeing of trafficking survivors in the United States and internationally through a public health lens. She has advised the United Nations, International Organization for Migration, US Department of Health and Human Services, US Department of Labor, US Department of State and the National Academy of Medicine on issues of human trafficking and testified as an expert witness multiple times before the US Congress. Moreover, she has conducted research on trafficking and persons facing the most significant social, economic and health challenges in a diversity of settings including Australia, China, Egypt, Guatemala, India, Liberia, Nepal, Kazakhstan, the Philippines, South Sudan, Taiwan and Thailand. 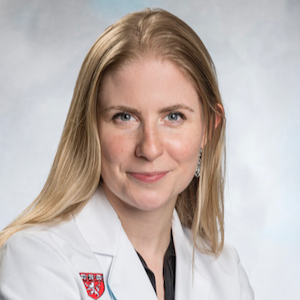 Among other accolades, Dr Stoklosa has been honoured with the US Department of Health and Human Services Office of Women’s Health Emerging Leader award, the Harvard Medical School Dean’s Faculty Community Service award, has been named as an Aspen Health Innovator and National Academy of Medicine Emerging Leader. Her anti-trafficking work has been featured by the New York Times, National Public Radio, Glamour, Canadian Broadcasting Corporation, STAT News and Marketplace. Dr Stoklosa published the first textbook addressing the public health response to trafficking, Human Trafficking Is a Public Health Issue, A Paradigm Expansion in the United States.